Showing recent results 826 - 840 of 4364 products found. TH2622 - Tonghui Electronic Co., Ltd.
Tonghui has extended the hanheld meter to a professional wide-range capacitance test. 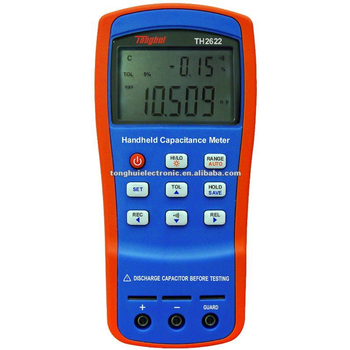 TH2622 handheld capacitance meter adopts ultra-low consumption design and high density SMD technology. Its measurement range can be automatically switched. 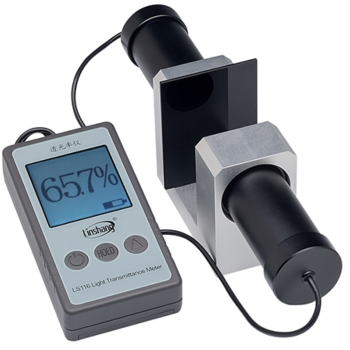 The capacitance measurement range is up to 199.99mF, maximum reading 11,000. Gorgeously once molded dual-color shell, dual-display LCD screen and easy operation are the characteristics of the meter. 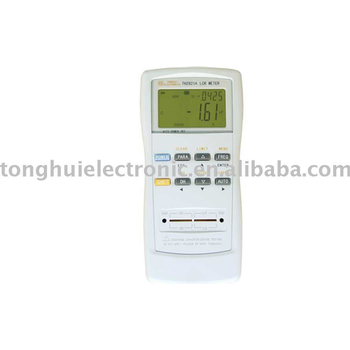 TH2821A - Tonghui Electronic Co., Ltd.
TH2821A is the first portable LCR meter in China. It can measure 6 basic parameters: inductance L, capacitance C, resistance R, impedance Z, dissipation factor D and quality factor Q. It has measurement accuracy of 0.3% and 4-bin sorting. Applied complete 5-terminal measurement configuration solves problem of measurement for equivalent series resistance and capacitor with small dissipation that other portable LCR meters can't solve. It can replace general low-frequency LCR meter. The water enters the meter from the inlet of the meter body and impacts the vane wheel at the tip of the vane blades to make it rotate. The water flows out from the outlet of the body. The rotation of the vane wheel (proportional to the velocity of water flow) is transmitted directly to the central gear in the vacuum-sealed register by the magnetic coupling. The sealed register totalizes and indicates the water volume passing through the meter. Alongside metering gear pumps, Mahr Metering Systems manufactures highly accurate devices for Meter Mix Dispensing technology. The Meter Mix Dispensing Machine series MarMax is based on the very flexible machine concepts, and in this way it covers many different application possibilities. Meter Mix Dispensing technology by Mahr Metering Systems excels with high accuracy in metering and mixing. In addition to the MarMax series, the application-specific machine concepts allow always the perfect solution for customer requirements. As a professional Light Transmittance Meter manufacturer,Linshang Technology has researched and designed the LS117 used to test the optical density of aluminus plating film, milky translucent materials and arenaceous materials,the LS110 Split Transmission Meter used to test the transmission of front windshield and the LS116 high-precision light transmittance meter used to test thick material. 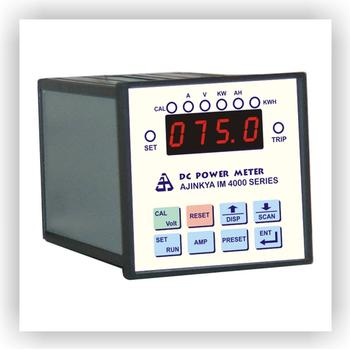 Ajinkya Electronic Systems are also engaged in manufacturing DC power meter. These DC power meters are manufactured under highly skilled technical team and are well known for their Quality & accuracy. They are very easy to operate and install. Our entire range of power meters are checked by our quality assistants to ensure their high quality standards. We manufacture these Products as per the requirement of clients. Chroma’s Digital Power Meters are designed for both single-phase and multiple phase measurements of AC power signals and related parameters common to most electronic products. Instead of traditional analog measurement circuits the 66200 Digital Power Meter uses state-of-the-art DSP digitizing technology. The internal 16 bits analog/digital converters with sampling rates of up to 200KHz provide both high speed and high accuracy measurements which is unprecedented within the industry for this class of power meters current on the market. 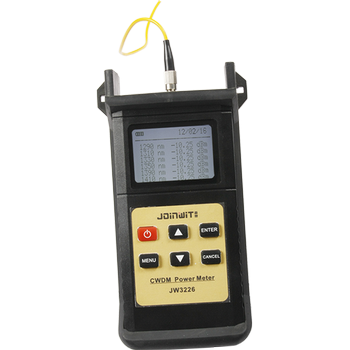 JW3226CWDM power meter is Grenville company launched a dedicated CWDM system handheld optical power meter. Optical power meter which is unique in that it has a corresponding wavelength calibration for CWDM system: 1470nm, 1490nm, 1510nm, 1530nm, 1550nm, 1570nm, 1590nm, 1610nm, CWDM band it can also realize the measurement of absolute power and attenuation values, It can simultaneously test and displayed for each wavelength in the 1470nm to 1610nm range of CWDM. 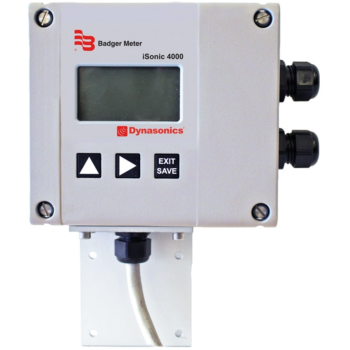 An economical open channel flow meter, iSonic 4000 measures level, flow rate and total volume of water flowing through weirs and flumes. The meter includes a non-contact ultrasonic level sensor to detect the water level and then calculates the flow rate and volume using the Manning equation and characteristics of the channel. All the measurements are available over Modbus RTU and can be logged for historical records. Open channel flow meters perform best where the sediment does not build up. GM82011P4 - UC Instruments, Corp.
OPTICAL MULITIPORT POWER METERS are PC control multiport passive components power meter test systems and offer superior performance in testing multi-channel DWDM, WSS, ROADM, AWG & PLC components and modules, optical amplifiers, DWDM system and performing other general-purpose multiport fiber optical test and measurement applications. The meters can be integrated with tunable laser source, optical attenuator & PDL controller to provide a high performance passive components and modules automatic test system platform. Optical power meter (OPM) is an essential fiber test instrument used for absolute optical signal measurement as well as optical fiber loss related measurement. The term usually refers to a device for testing average power in optical fiber systems. 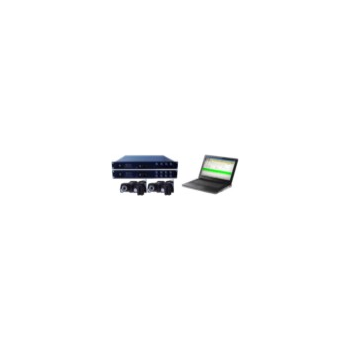 Fiber optical power meter is a tool for telecom and CATV network. This handheld optical power meter features ingenious appearance, wide range of power measurement, high accurate test precision and user automatic self-calibration function. SY 1012 - Hong Kong Songyang Industrial Ltd.
Plug a electrical appliance into the SY1012 meter to monitor the electrical energy the appliance consumes. This handy eight function energy meter / monitor helps to save electricity and money! The SY1012 can provide you with an accurate cost analysis of the appliance you plug in to it. As well as providing voltage and frequency readouts, the meter also shows wattage and kWh (kilo watt hours) readings. Airflow meter users around the world. 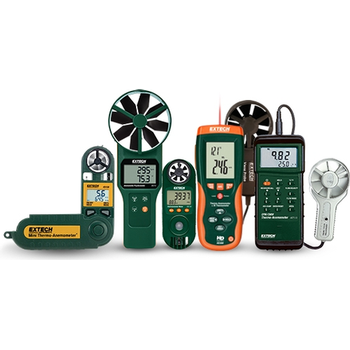 Whether you are just learning how to measure air flow or you are an experienced HVAC technician, indoor air quality technician, or energy efficiency consultant, our meters provide air velocity and air volume flow readings as well as useful indoor air quality metrics. CFM? Ft/min? Temperature? We have you covered. Plus, available meters also measure relative humidity, wet bulb, dew point, and carbon monoxide. 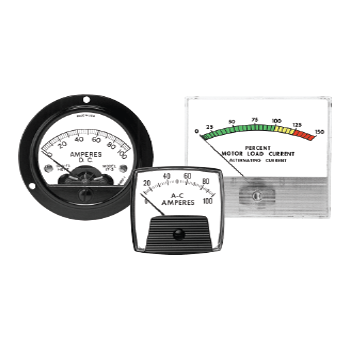 Hoyt supplies a complete line of panel meters for several vertical markets (Switchboard, Audio, Power, Marine, and Power Generation). The meter movements can be pivot & jewel or taut band. 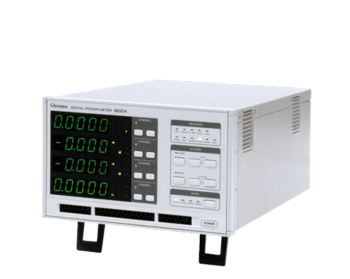 So whether you are looking for AC/DC amps, volts, frequency, elapsed time, watts, vars, power factor, or any other measurement parameter we have the meter. 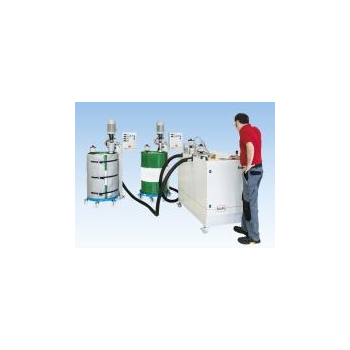 Fluid meters are designed to seamlessly integrate into hydraulic systems. Additionally, with a variety of end fittings and different material types, these meters can be used in a wide range of industrial processes requiring flow monitoring of petroleum fluid types. 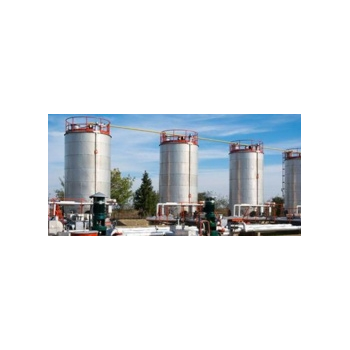 Standard meters provide an economical solution for operators needing a quick, visual indication of flow, without the use of additional electronics. Expansion options are available to allow integration into remote systems via electronic output.